STUDENTS with a disability at a Hills education support centre are learning in cramped and overcrowded classrooms. The State Government is being urged to provide much-needed funding to upgrade the centre. 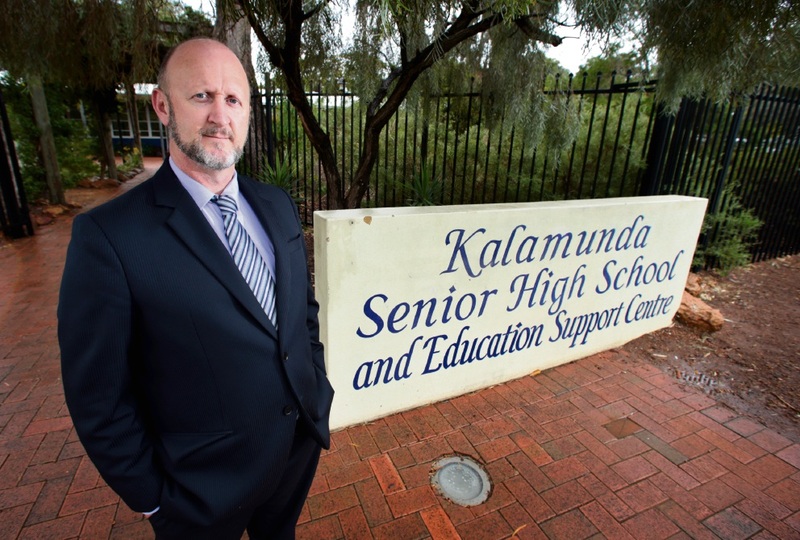 Kalamunda Secondary Education Support Centre Board chairman Justin O’Meara Smith said since 2012, the number of students had grown by 50 per cent. But without access to additional classrooms, it could not give students a better learning environment. “We now have more than 50 staff working tirelessly to meet the educational, social and disability support needs of 76 students with a complex disability,” he said. “The school is full, our ageing classrooms are full and we are teaching out of transportables with no break-out spaces. Mr O’Meara Smith said government planning projections showed the chance of increased, or at least sustained enrolment, was high. “Current residential developments in Helena Valley and proposed developments in High Wycombe, Wattle Grove and Pickering Brook will add further to high enrolment,” he said. An Education Department spokesperson said while it was difficult to project future numbers for students with disability, it was considering options for the wider Kalamunda area, which may include establishing a program at another school. “The centre is popular with families of students with disabilities in the southeastern suburbs of Perth,” the spokesperson said. Mr O’Meara Smith said parents chose the centre, co-located with Kalamunda Senior High School, because of the positive learning and social outcomes achieved by students. “We have seen promises of an investment in schools in our locality but nothing for the centre that acknowledges the real challenges we are experiencing through overcrowding and the NDIS (National Disability Insurance Scheme) interface,” he said. “The full potential for all students wishing to access the centre is not being realised and the board wants to work with the Education Department, WA NDIS, the principal, staff, students and families to ensure students are benefiting from the $22 million NDIS investment. “Through the NDIS, students now have access to the therapists, aids and equipment they need but without suitable learning environments and facilities that accommodate this significant |investment, students with disability are still at a disadvantage.